SINCE launching the LymeOnline website and newspaper at the beginning of the year, I’ve had a lot to learn, especially on the digital side of things. 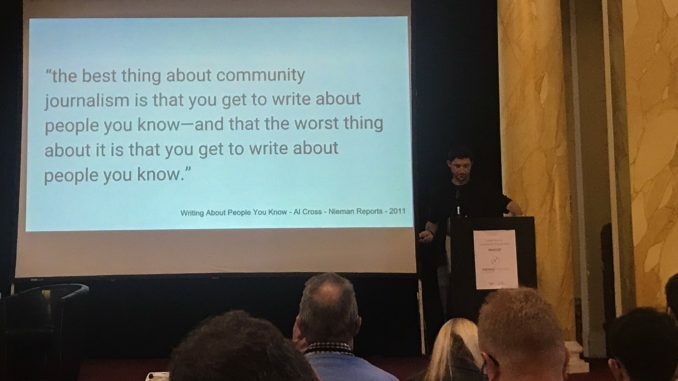 So this week I took up the opportunity to get some advice from leading industry experts, and headed to Cardiff for a News Impact Summit, hosted by the European Journalism Centre and Google News Initiative. I hadn’t been to a seminar since finishing university seven years ago, so I was a little unsure what to expect, but it was great to meet and hear from so many like-minded individuals, all passionate about finding new ways to ensure journalism has a sound future. In particular, I was pleased to meet Richard Gurner from the Caerphilly Observer in Wales. A similar business model to LymeOnline, the Caerphilly Observer is a community news website and free fortnightly paper that has seen such success since launching several years ago that Richard is now considering making it a weekly publication. 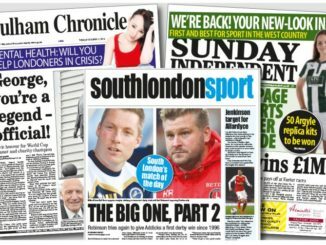 It was inspiring to hear such a success story and it goes to show what a thirst there is for this type of hyperlocal news in communities all across the UK. The theme of the News Impact Summit was Local News and Community Engagement, with many asking how journalists can become more engaged with their local communities. I’d like to think that LymeOnline is already pretty engaged with Lyme Regis – we love being a part of the community, hearing from our readers, sharing your stories and getting involved in local events. This week, we’ve announced our plans to resurrect the Lyme in Bloom gardening awards, with the hope that the town will one day be able to also enter the South West in Bloom competition. While we’re talking about community, I’ll put my hat on for two other local organisations I’m involved with… Lyme Regis Football Club will be hosting a wine and cheese tasting night this Saturday (October 20), starting at 7.30pm – tickets for £15 will be available on the door. The Lyme Regis branch of Cancer Research UK will host its annual coffee morning and cake stall as part of Breast Cancer Awareness Month, from 10am at Lyme Regis Baptist Church on Friday, October 26. Please come along and support both events! 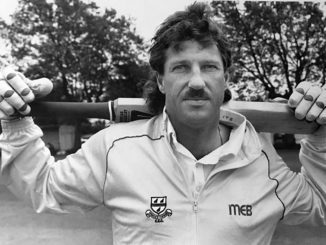 ASKING temperamental Ian Botham to put his bat behind his head got me a strange look, but he did it anyway.